Fox Business Host Blames Dems For Stock Market Slide - Joe.My.God. “I think it’s the tone. You know, the very next day [after the election] the market was up. But since then, the tone of Democrats, who have declared war on President Trump, I think have been a real negative wave for the market. Particularly, I think Americans want to see legislation, not more investigations. 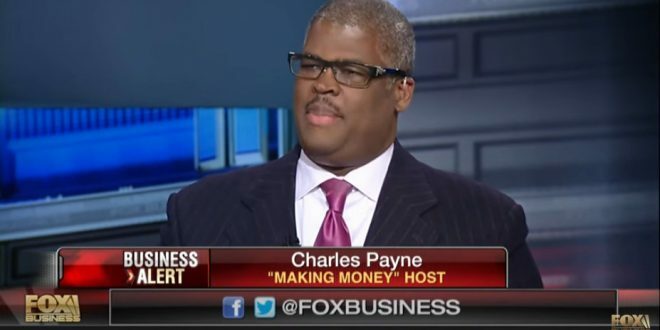 You know, I don’t think they want to see Maxine Waters spending a whole lot of time digging up dirt on Deutsche Bank when people are trying to, you know, live their lives.” – Fox Business host Charles Payne, who was suspended last year over sexual harassment allegations.